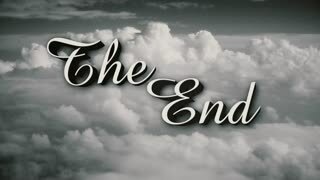 Search Results for "cinematic aerial"
A retro, old-fashioned Wizard of Oz-style The End movie or film end title page. Includes three distressed film options plus normal, clean version. Clouds running forward on camera. Storm warning. Epic dark sky. Autumn weather. Mountains Background for titles, intro, projects and etc…!! !